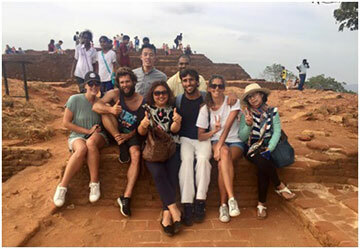 Sri Lanka Tourism, in collaboration with the Sri Lankan Embassy in Vietnam, arranged a familiarization tour for a TV crew of Nhan Dan (National TV) from 4th -10th August 2017, to create awareness and promote Sri Lanka as a popular destination among the Vietnamese travelers. Since both countries havetheir equal share of religious and cultural heritage, this created an opportunity for the Vietnamese media crew to get an informative and an interesting experience to share with their audience back home. 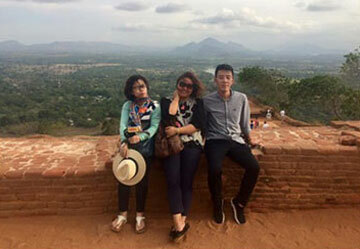 The crew consisted of 3 members, Mr. Nguyen Hong Quan, Cameraman, Ms. Nguyen Thi Thun Hang, Reporter, and Ms. NguyenHon Mai, Editor. Nhan Dan TV is a TV is the main national TV in Vietnam which is linked with the Nhan Dan newspaper, which has the highest readership in the country. One of the main purposes of the press trip was to cover the Kandy Esala Perahera , which is a world famous cultural pageant sacred to all Buddhists around the world , and highlights Sri Lanka’s importance as a Theravada Buddhist country. 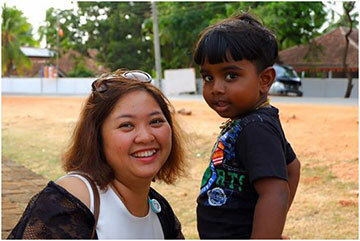 The media crew visited historic sites of Anuradhapura, Sigiriya , Dambulla, Kandy and Nuwaraeliya. In visiting these cities, they had the privilege of covering Ruwanwelisaya, Dambulla Cave temple, Rock Fortress of Sigiriya, the temple of the sacred tooth relic, a tea factory and a plantation, not missing a cup of pure Ceylon Tea and afterwards visiting the Haggala Botanical Garden. 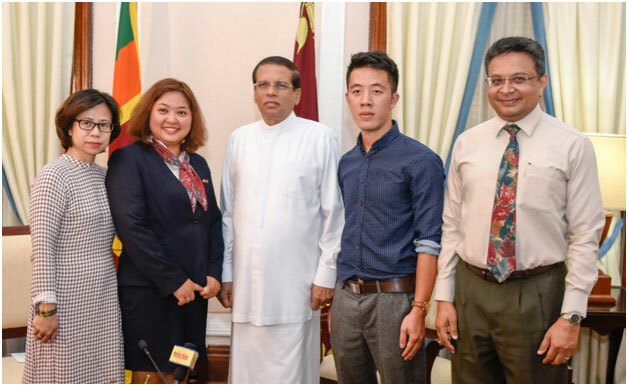 The Media crew posing for a photograph with H.E President Maithripala Sirisena. Also seen here is Mr. Sutheash Balasubramaniam, Managing Director, Sri Lanka Tourism Promotion Bureau. 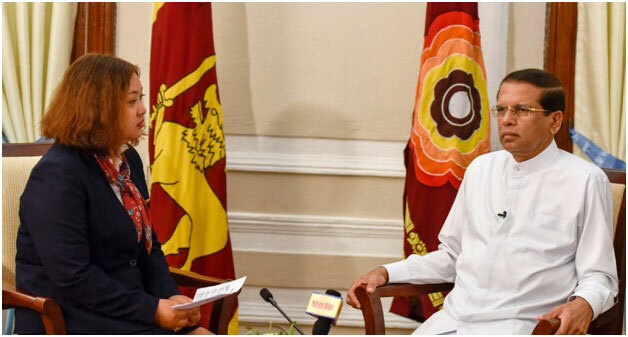 The TV crew also had an opportunity to interview H.E President Maithripala Sirisena. TheMedia crew which was sponsored by Sri Lanka Tourism, managed to capture the attention of a large Sri Lankan audience through their interview. 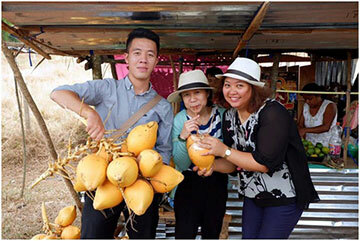 Tourist arrivals from Vietnam has seen a 17% increase year on year, though the arrival number is not significantly high. 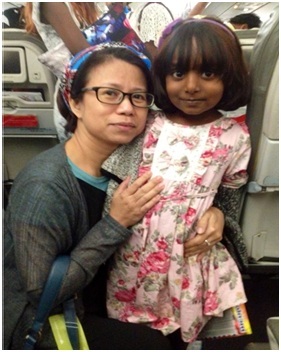 Arranging Media trips of this nature will increase the arrivals in future, specifically in countries which share similar cultural and historical values as Sri Lanka.